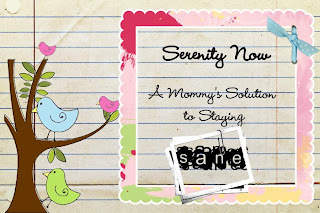 Serenity Now: Extreme Blog Makeover : Giveaway! Don't panic! You haven't clicked on the wrong link. This is Amanda, and you're checking out my new look here at Serenity Now! I hope you like it. We played with all kinds of backgrounds and fonts, and I think that this one still seems like me. My favorite thing? The navigation bar under the new banner. If you're new here, you can fish around up there to find out about the blog, a little about me, and more. It was time for someone to come in and clean up the clutter here. Nate Berkus and Ty Pennington refused to pick up the phone when I called (or answer emails. or Tweets. or texts. ), so I had to find someone to help me. I did a lot of research over several months, looking for a blog design team that works with clients to create custom looks that are still affordable. Erin, Amy, and Lauren work together to fashion delightfully eye catching blog designs. I was skeptical when I saw their Price List because everything seemed so reasonable for premades and custom designs, and then I was blown away by the colorful Portfolio they have displayed. That sealed the deal for me. Placing an order and payment was a breeze, and Lauren was easy to work with. Once I told her about the look I was going for, she humored my every whim and cheerfully reworked the design until I was happy. I really can't say enough good things about working with them! To celebrate the launch of my new look, Designer Blogs is giving away a Custom Blog Button with share code to one lucky reader! If you already have a button, consider thinking up a new party you can host on your blog, and have one of the Designer Blogs girls create a button for that. To enter, please visit the Portfolio over at the Designer Blogs site and leave me a comment here telling me which design is your favorite. (sorry, mine doesn't count, haha!) I think you'll be pleased with what you see. The blog button portfolio page is great! The Giveaway will stay open until Thursday, February 11th, 5 pm (ET). I'll announce the winner on Friday. If you decide to place an order with Designer Blogs, please be sure to let them know I referred you. I hope you like the new place...same content, same blogger, just a little less sidebar clutter, and more information above. Coming up tonight: Decorating Dilemmas! Read about the party here or check out the last party here to see how it worked. Hope to see you here! Amanda, I LOVE the new look!!! LOVE, LOVE, LOVE it!!! it's just so purdy!!! I love it!! My favorite design is "The Preppy RN." Love it mama! Looks great! So bright and happy! Just perfect! Love it! Can't wait for decorating dilemmas tommorrow! That's the problem; I don't know which one I like...I do like Embellish and there was a green and white one I like, too....can't remember the name, but I do think I want to go with green and white/with black for continuity sake....kwim? LOVE the new look!! it's beautiful!! GREAT job!! I love the one they did for the life as a christian wife. To quote Sarah @ TDC, I luuuuurve it!!!! Looks great! I love it! It's super cute! Hey Amanda! I love your new look. So fresh and hip, just like you! I will definitely have to check Designer Blogs out. They did a really great job! 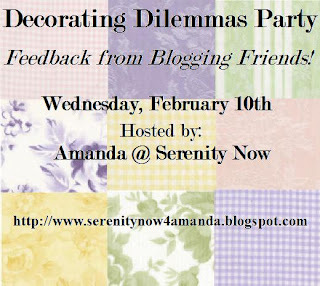 So excited your having another Decorating Dilemmas party! I'll definitely link up! It looks fantastic! What's UP with Nate and Ty? Seriously, do you HAVE to know Oprah to get them to do something for you? Rude. It looks great, Amanda. I'm proud and happy for you. I looked at their portfolio. I'm so amazed at what graphic designers can do! I think I like the Just Simply Southern business cards the best. But it'd be hard to say! Hope you enjoy your new digs! Love it! It's so fabulous....so YOU! I will be back to snag your button...I have to run but wanted to stop in to check it out and say "hi"! Amanda, love the new look! I'll go check out their website a little later...got kids coming in from the snow right now! I LOVE IT! It's so happy! I like the Random thoughts design. Can't wait 'til the party tonight. I have an all new dilemma. Holy wow, looks who's gone and gotten all fancy!! I LOVE the new look, it is gorgeous! Yay for you. And yay for a giveaway. I love the Sugar Pop Cafe design. Can't wait for tomorrow's party, I need ideas bad. Love it! I want one... the Mari Mac button is my favorite. Oh Amanda! It just looks great! I can't wait to get mine revamped soon too. They did a fabulous job, and I'm considering using their services now too. Great new look Amanda!!! Just checked out their site and the pricing is amazing. I've been trying to redo my header myself and can't find the time to finish it. The Parkinson family header design is the look I want to go for. I love the one that is for "The Arnesons." I love all things toile and damask and that one suits me to a "t." Your blog looks great. Perhaps I'll treat myself to a makeover when I hit 100 followers. Or maybe I'll get a head start by winning this giveaway??!! At any rate, I'll be back to join your party...I have a problem that needs to be solved!! I'm loving the header for Three Princesses & a Frog. too cute! Amanda, it looks great! I noticed it right away. I like Memories (I think) of a Suburban mom. manda, this totally is you!!! love it!! My new nav bar was my favorite thing in my blog make over too! Hey girl! I am so glad you had this post up, because I almost thought I HAD clicked on the wrong blog! Love your new look, it is so... serene (pun intended)! I don't think I'll be partying tomorrow... But I WILL be working ahead to the March "Progress" party-- provided I can make some progress (maybe we should talk to my DH about that???). I'll be around to look at everybody elses posts, though, you can bet on that! Amanda, This is a great new look!! Unfortunately, I won't be able to join the party this time (well, I will visit links but I won't be linking up). I've been dealing with morning sickness. all. day. long. Even though that's not fun, I'm still saying "Yay!" about another baby. The morning sickness has kept me from doing much of anything besides the bare necessities (and I've even neglected some of those!). I am hoping and praying that I can get my curtain dilemma fixed before the progress party because I know what I am doing with them, I just have to do it! I hope there is a good turn out tonight! I'm dealing with "baby brain" too... I completely forgot to mention my favorite blog button design from designer blogs. It is definitely the "Daylight Productions" one. Your makeover looks great. I like Create Well Create Often or Odi et Amo. They're all really great and amazing prices. WOW! I love the new blog look! It does look less cluttered and is so adorable...now I want to get my own! Amanda, love your new place! It's really so well done! Lovin' your new look! And put me in the giveaway!! I gotta pick just one?? Three princesses and a frog I guess. Fabulosity, girl. You can never go wrong with a turquoise backgroud and white scroll design. If only they made that design in fabric, I'd be buying ! Very pretty and very you! Love the new look. The dragonfly and butterfly are my favorites. Cool toolbar across the top. Impressive! The new layout looks GREAT! I like how the design is even carried through to your post titles. Pretty! One of my favorite designs is the design for Miss Dots Cupcake Spot! The blog button that was designed by Amy..."Create well...Create Often". Love it! Your look is terrific!! Enter me...I need a button! I love the Country Chick button and your blog is adorable!! I love your new look! I keep thinking I should do a 'real' blog makeover! I love the Miss Dotts Cupcake Spot button! I like the Birds on a Line or Little Birdie. I love your new look! I love "The Peeks" and "Mary Mac"! Your blog looks great! Your blog is so cute!! It's whimsical & fun!! I love "Scribbled Scraps" by Designer Blogs. I think my favorite is also "Scribble Scraps". Thanks so much for the opportunity! I absolutely love the layout for your page... but if I had to pick a second best, I would go with "Katie's Keepers". SO CUTE! 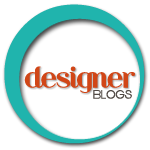 I love Designer Blogs! They do such a great job. My favorite right now is Pastor's Wife Redefined! I love the sugar pop cafe button and blog design! super cute! Congrats on your blog makeover. They are all awesome, but I love the cottage now one. I think that's what it said. Great giveaway. I'm in desperate need of a new look! I love the buttons they made for the Peeks & In the Land of Pink. Love the birdies! Hi, I just discovered these designers this week. The Purple Banner & French Monologue are my favorites. Thank them & you for the fun giveaway. They do some really cute stuff! Just Simply Southern kept catching my eye. I also liked Cottage Home Decorating. They are all fabby designs but I love " In the Land of the Pink " Thanks for a chance to win !